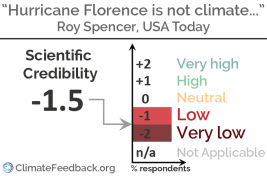 This op-ed in USA Today makes the claim that Hurricane Florence has no appreciable contribution from human-caused climate change. 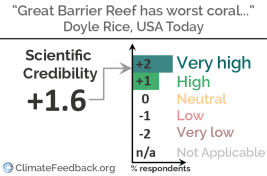 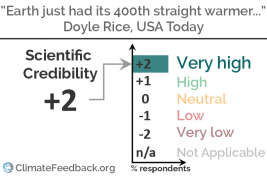 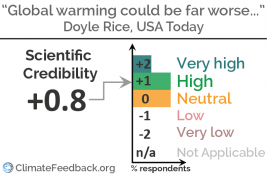 The five scientists who reviewed the article concluded that it is accurate. 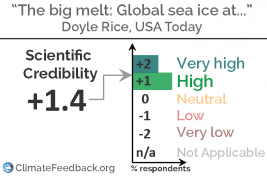 It properly conveys the core facts about global sea ice extent and the attribution of continuing sea ice loss to human-induced warming of the climate—primarily in the Arctic, as the low sea ice extent around Antarctica this year has not yet been clearly connected to climate change.